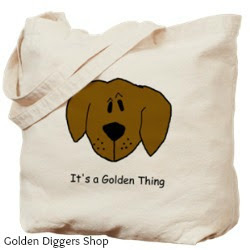 I often find myself throwing all of the Golden's essentials in a big bag when we are headed out for the day. It's not a pretty bag and it's certainly not an organized bag but that has all changed. 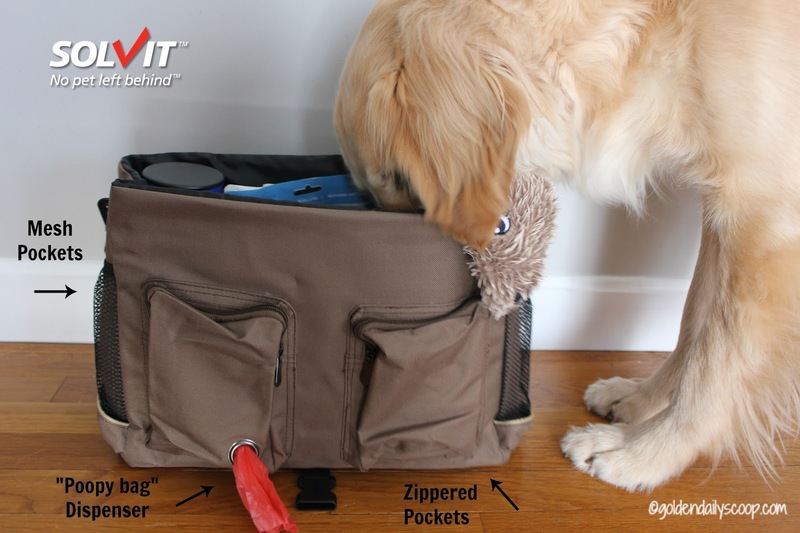 The HomeAway Travel Organizer Kit has a space for all your dog's essentials. There's plenty of room inside to store some of your pet's treats and toys along with a back pocket for a blanket or towel. On the outside there are mesh pockets on the sides and back but our favorite feature, the "poopy bag" dispenser pocket for easy access. 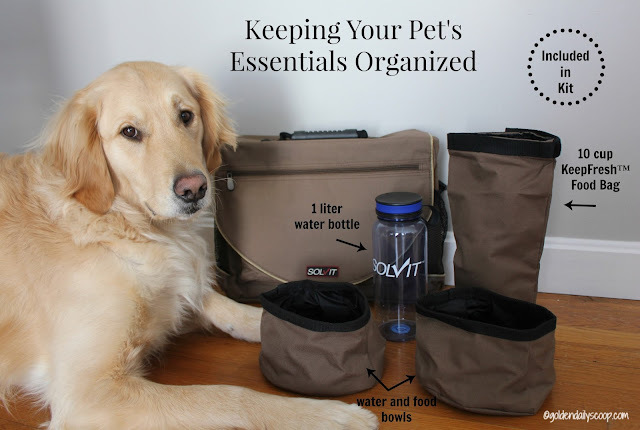 This organizer isn't just for traveling but is perfect for a day at the park, an emergency/evacuation kit, taking your dog to work with you or leaving your pet with a sitter. 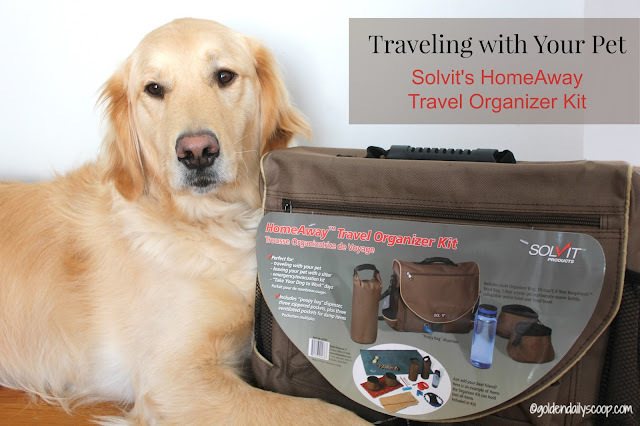 Thanks to Solvit™ for making traveling with our Goldens simplified and organized! Solvit Pet Products specializes in highly functional, easy-to-use products for travel, active life, therapeutic and senior care. 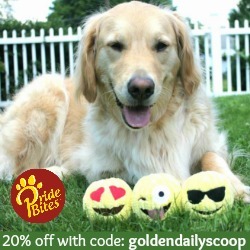 They offer unparalleled mobility and support to make sure no dog is left behind. Visit Solvit to view all of their products for around the home, in the car and staying active. Open to US Residents, 18+ Ends 2/18. Disclosure: Solvit sent us the HomeAway Travel Organizer Kit for review purposes. We were not compensated for this review and all opinions expressed are our own. Solvit is not responsible for the content of this post. this would be so great! we take a lot of road trips! That looks like a very practical product--snazzy design. This looks really cool! I would use it all summer long with Penny going to the race track, as well as any other day trips. i would use this organizer when i go to dog events and travel to the vet. i carry a bag now with toys, water and treats, wipes, and a folding water bowl. so this organizer would be great for me. i do not let my girls drink out of community water bowls or drink tap water. During the summer we travel and are going back & forth to our boat on Lake Michigan. The organizer bag would be perfect instead of putting everything in a plastic bag to carry. I love the folder bowl. 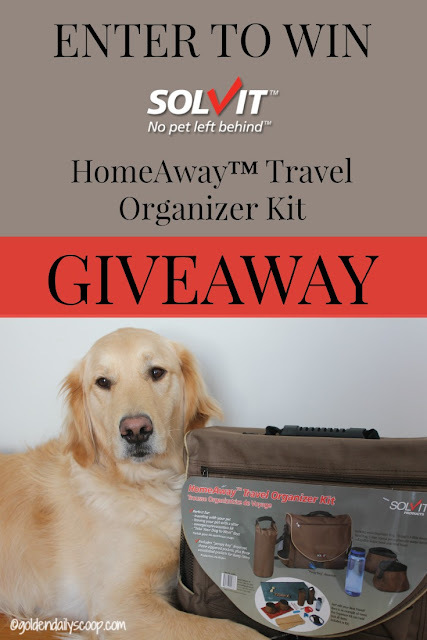 I know Schooner and Skipper would love to see mom carry awesome Solvit HomeAway Travel Organizer Kit around instead of plastic bags! Plus they would think I am a cool mom instead of the plastic bag lady! A doggie diaper type bag, cool! We take lots of trips with the dogs, this would be useful! I would use this when we take the dog to visit my parents! 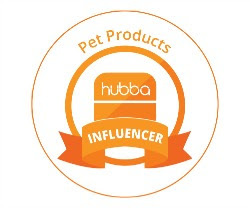 What a pawsome product! We just love the bag design!! Would be great for road trips! We have the same bag and I like it for training classes. I LOVE this travel gear! The creators thought of everything- very cool. 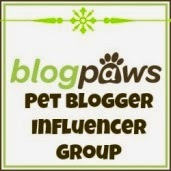 I entered too and I rarely enter contests ;-) Paws crossed! We love this bag! Great review! We like to take our boy with us whenever we can, we are actually going to the beach this weekend and this would be perfect to pack all of his stuff in. My daughter lives an 1 1/2 hrs away and when I go stay with this would come in handy. Also my brother is moving closer so I can go stay with him and his wife once in awhile too. packing would be easy for Shunta. I have never heard of Solvit! 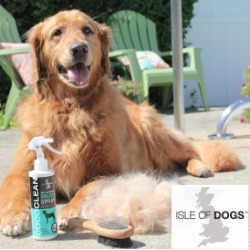 We will most definitely check it out - it looks really great and helpful when traveling with the fuzzy ones! We like to take weekend getaways once a month so this would be incredibly handy to use! Mom Kim here - not sure what happened to the comment I left earlier - left it here before I found you on FB. Oh well, now that the Beaglebratz have their Solvit car seat cover, this carry bag would be ideal to finally get their stuff organized in the car no matter where we go. That would be a great kit for my mom to take when she takes her dog out of town on trips. This seems like a very useful bag-perfect for day trips or longer ones. 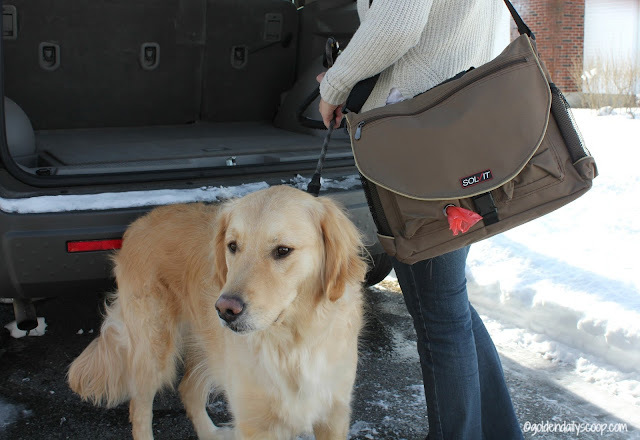 This bag would be perfect for our day trips or even our trip to Phoenix for the BlogPaws conference! What a great bag! I'd love a well organized bag like that, my dog bags are always without compartments & are a mess. That is a pretty handy bag, s shame I don't live in the USA, so I can't enter the give away, but the bag looks great. Nothing is more frustrating then forgetting a waterbowl or poopbags! This will be great when we go on small trips to visit my family. What an awesome bag! It would be useful for day trips and also for traveling!! This kit would be great for trips to grandma's house or for hikes! I have four dogs of my own, plus I drive rescue transports, so it would be great to have this in my vehicle with what I need for everyone. I'm not the most organized person in the world, so any time I can get something to help organize my life it's a good thing. This is so awesome! 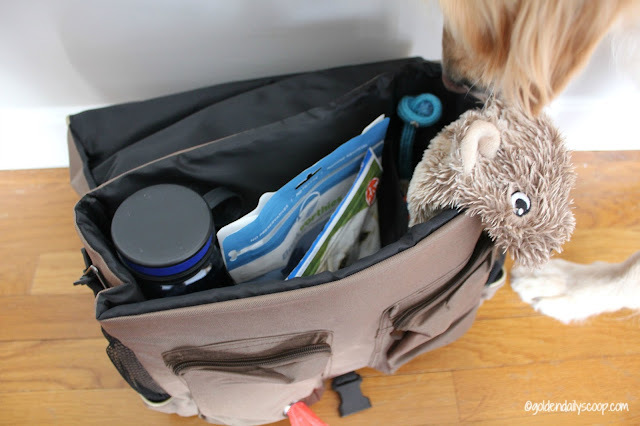 We take our dog in vacation with us and he travels with SO many things that it's often hard to keep them organized and all together so this bag would be perfect! We would get so much use out of this! 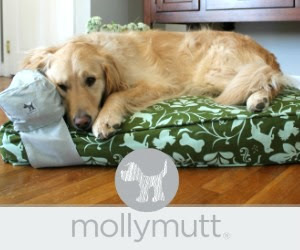 We love taking our dog everywhere with us and this would make it so much easier. Our dog Cooper comes everywhere with us. We love going hiking. I think this would be great to have in the car for just about anything! With six dogs, I could really use this bag. The bowls would come in handy. Thanks! My dog and I are always going on adventures. I need this to keep all his items handy and organized. I plan to use this when I take my dog for walks along the beach. Every vacation I take, my little girl comes with me. I have a duffle bag for her belongings. This would make things soo much easier. I love that it has the bags right on the front. I wont have to dig them out when we are stopped on the side of the road for a potty break. I would use it for traveling and just a comfy secluded place for my dog to sleep and hang out. Oo i love this. We have one that is harder like a cooler, but sometimes we pake too much and its hard to fit in the car. This would be great to have so we could switch them out. We'd keep this in the car for trips to the park and any other last minute trips! My dog goes most places I go, this would help me make sure I have everything easily, in 1 bag ready to go. Trips to my parents and in-laws would be made so much simpler with this organizer! I think that my sister could really have a use for it when going to the dog park and traveling with her dog. This would be an awesome prize! I travel with my dog a lot! I would use this organizer to take !y dogs to our family cabin for vacation. I would use this anytime we go out for long period of time.I would have their food and anything else they would need.Great for beach trips hikes picnics camping having everything packed in one place would be so much easier.